One thing I have probably never mentioned on this blog is that I have been privileged to be a member of a few choirs. Mostly church choirs, of course, and the experiences I gained were invaluable. For the most part, there would be rehearsals for the hymns and/or choir special (typically some 'raining' gospel song like that). However, there were those few nightmarish occasions where the choirmaster (or mistress) would pick a song (or hymn) that I had never in my entire life heard of. In the middle of the church service. Although, I would love to take the credit for coming up with such a brilliant idea, unfortunately, this idea did not originate from me. Indeed, I had no idea what watermelons had to do with singing until one woman shared a secret with me. You see, this woman and I were in the same choir in church. When I was not worshiping, I was scoping fine men in the congregation worrying about getting the lyrics to the song/hymn right. This was something I had struggled with while I was with my church choir in Nigeria too; not knowing the lyrics, I mean, not the scoping fine men part. My glasses have helped me execute the latter while maintaining an outer shell of seriousness, and satisfying my curiosity, undetected. I highly recommend glasses (shako-mended), even for those who have 20/20 vision. Anyway, back to my story. Encourage the other clueless co-choir member beside you to do the same. Of course, Steps 1, 2 and 4 are my suggestions, but I HIGHLY recommend them. So, next time you are in church (or anywhere for that matter) and you have to sing a song impromptu that you have never heard about, use the watermelon strategy and share your experience with me! 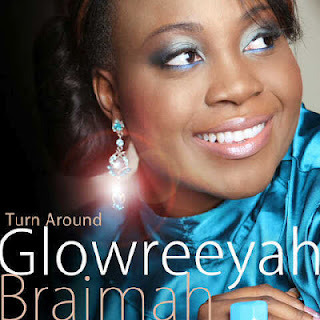 Fondly called "The Bridge" by her father, Glowreeyah is an up-coming gospel artiste who describes her style of music as Fusion [Source]. Wondering what fusion sounds like? Well, wonder no more. Click Play on the widget below, and listen to 'Turn Around' by Glowreeyah. Likes: If you asked me to describe "Turn Around" in three words, I would say it is: Fun, Fast and Up-beat. But you know I won't stop there (smiles). Glowreeyah's confidence shines through this song, which happens to be her first single. From the intro, you can sense her excitement and get a taste of her infectious passion. The good news is that Glowreeyah is able to maintain that level of energy and passion that she initiated at the beginning, throughout the song. Setting the pace for the background vocals, they follow suite, taking their cue from her. The call and response is executed impressively, and the background vocals (along with the instrumentals) provide an unmistakeable funk feel to the song. I like the simplicity of chorus, as well as its execution because that repitition invites the hook to stay in a person's head beyond the initial listen. Furthermore, changing the beats as the song switches from chorus to verses, is another fun feature of the song that falls into the song arrangement category. Dislikes: Inasmuch as I can comfortably describe Glowreeyah's vocals as strong, there was certain parts of the song where she was 'screaming.' The harshness of Glowreeyah's vocals in those areas takes away from the smooth flow and beauty of this song. Those parts could have been eliminated totally or toned down somewhat, so she would not sound like she was going off-key. In addition, the song-writing could have been improved for the verses, especially the parts where single words were packed together (e.g. Transformation, etc). The harmony incorporated into that section needs some work as well because it sounded like they were going off-key. However, the well-balanced harmony on the chorus, following that section, creates a much-needed balance, which I appreciated. Recommendations: Eliminate the points where Glowreeyah screams or else tone it down considerably. lwtmb. wish i heard about this on time. when i was in the choir (wayyyy back), i use to go to church with a book.......any book, and when they start those kinda hymms i'll just start reading....more like singing the book. Lol...i hope it really works oh..my friends and I had a great laugh trying it out now..
Lol...., i remember the first day i did a duet with the choir in church, my first day ever to do a solo, and i completely forgot the lyrics after rehearsing beautifully the day before,i wished the ground would open and swallow me up that day, coupled with the fact that i dey form big boy that time. Chei, the matter no funny back then oh. But that was the first and last time that will ever happen. With the way you like talking about music, I should have suspected you were in the choir. 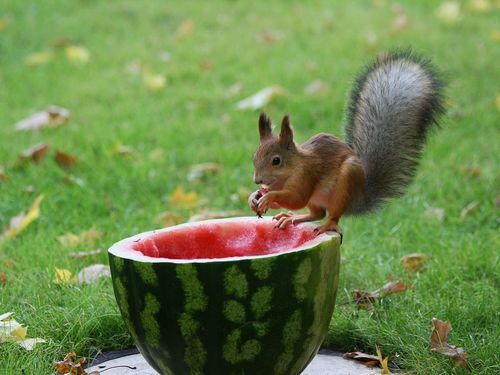 So, does the watermelon thing really work? Gloria is one of the lead worshippers in my church choir. Thank u so much for the tips. I usually just dance very well so that everyone is distracted by that. Or I stick my mouth on the smelly mike, place my hand on the mikes body so no one can see that I'm clueless and close my eyes in deeeeeeep worship! Or I just ask someone else 2 take my place. lmao@Ogecha. I thought i commented on this ni sha. Anyways, that watermelon thing is genius. AY: LOL! I just pictured you and your friends mouthing "watermelon." Funny stuff! Yes, it works o, and I am testifying to the potency of this trick. Ogecha: LOOOL! Your comment brought back some real memories o. I have done the "close your eyes in deep worship" method too for the times I had to back up, but for the faster songs ... Watermelon method would've saved my life! Anonymous: LOL! Aha, another confession from someone who has been in this "tight" spot before, aye?